Nov 02, 2015 (LBO) – Sri Lanka’s Securities and Exchange Commission is seeking greater participation of auditors in keeping them informed of corporate malpractices, SEC Chairman Thilak Karunaratne told Lanka Business Online. “If they see anything out of the ordinary happening in a corporate, they could warn us. Let them be the watchdogs, we can be the bloodhounds,” he said. This matches developments in Malaysia, US, UK and Australia where the parent companies of auditing companies in Sri Lanka have agreed to do this. Recently, Karunaratne said he would explore the possibility of placing a legal duty on audit firms to report irregularities or improper conduct to the SEC. The SEC, which regulates the capital market via the Colombo Stock Exchange, is in the process of amending the SEC Act. Among other powers, it will have more room to enforce civil and administrative sanctions. The current criminal proceedings it must follow carries a higher burden of proof. The SEC wants to close loopholes in Sri Lanka’s Companies Act to provide greater protection to minority shareholders. “Section 246, for example, of the Companies Act, was abused. We just got the AGs opinion today. Simply because you have 90 percent doesn’t mean you can buy out the rest,” he said. 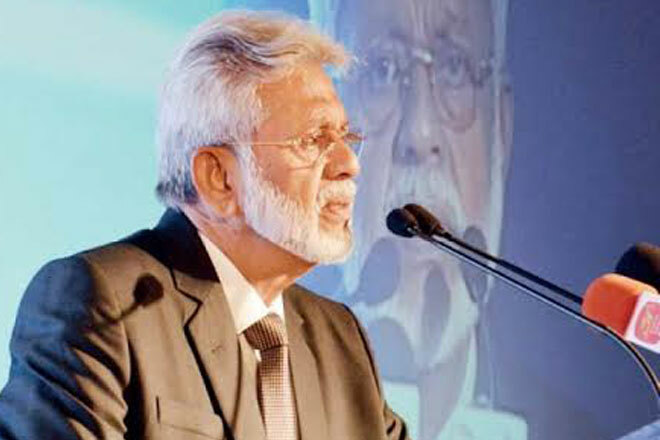 A former Kalutara district parliamentarian, Karunaratne was first appointed to lead the SEC in December 2011 but later resigned accusing the government of interference in 17 ongoing cases. Karunaratne, who has taken an honorary position in the SEC and does not accept SEC perks, said he is also reopening three investigations and boosting the investigations and enforcement division by mid November. Commenting on the role of the auditors, Karunaratne said most audits of listed companies are performed to SEC expectations, but a few fall short. More of his comments on audits can be viewed below.